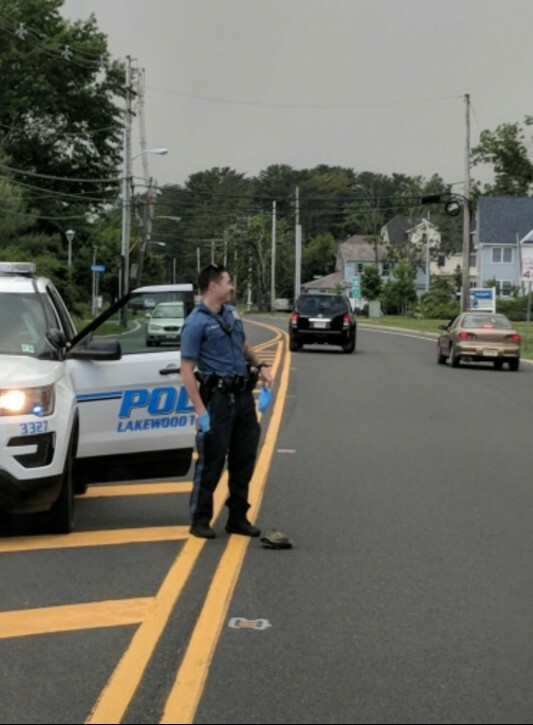 Lakewood, NJ - For the third time in recent months, the Lakewood Police Department t has found itself scrutinized by an official agency, this time as the subject of a Federal Bureau of Investigation inquiry. According to the Asbury Park Press, the department’s Traffic Safety Unit was hit with a subpoena in April, ordering the division to give the FBI all records related to serious or fatal crashes that took place within the township since January 2014. 34 people were killed in motor vehicle accidents in Lakewood during that time period, including over a dozen who died in 2017. The cause for the investigation is not spelled out in the subpoena. Lakewood police, township attorney Steven Secare and U.S. Attorney’s Office spokesman Will Skaggs all declined to comment on the matter but a February investigation of the Traffic Safety Unit conducted by the Ocean County Prosecutor’s Office focused on a fatal crash that took place in August 2014 when a 52 year old Lakewood motorcyclist died after being struck by a car driven by an Orthodox Jewish resident on Cedar Bridge Avenue. The driver of the car was ultimately acquitted in 2016. The deadly collision was investigated by Sergeant Frank Work, head of the traffic safety unit, who was previously scrutinized after dismissing three tickets issued by a different officer to a rabbi who served as a police chaplain in 2005. Work was cleared of any criminal wrongdoing in the matter but was reprimanded for his actions and all three tickets were re-instated. Yet a third recent probe of the Lakewood Police Department involved its Internal Affairs Unit which typically reviews claims against police officers, reported by the Asbury Park Press . That investigation, which was launched this past winter, was prompted by 106 complaints filed during 2016 and 2017 about the department’s operations and its failure to complete investigations and provide mandatory information for its annual public report. An official report filed in May concluded that the Lakewood Police Department’s four man Internal Affairs Unit was not in compliance with multiple state directives. The report also suggests that unnamed township officials were interfering in police affairs, giving officers an opportunity to appeal disciplinary decisions by alleging that they were politically motivated. Lieutenant Gregory Staffordsmith, who took over as head of the internal affairs several months ago, said that the department has implemented all of the recommendations made as a result of the probe. Ocean County prosecutor Joseph Coronato said that his office will keep watch on the matter to make sure that proper protocol is followed. I sincerely hope they also investigate all those horrible accidents that take place on Shabbos and Yom Tov when those jews arent driving. Perhaps like NJ 101.5, they will ignore that too? The fatalities were due to jaywalking. The allegations are obvious. The police department is manipulated by machers in the community. Really? what are the reasons??? Vehicular manslaughter is a petty crime??? ?